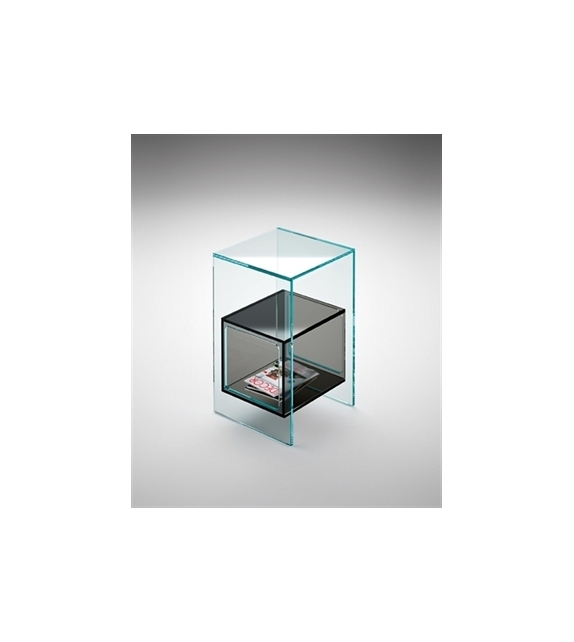 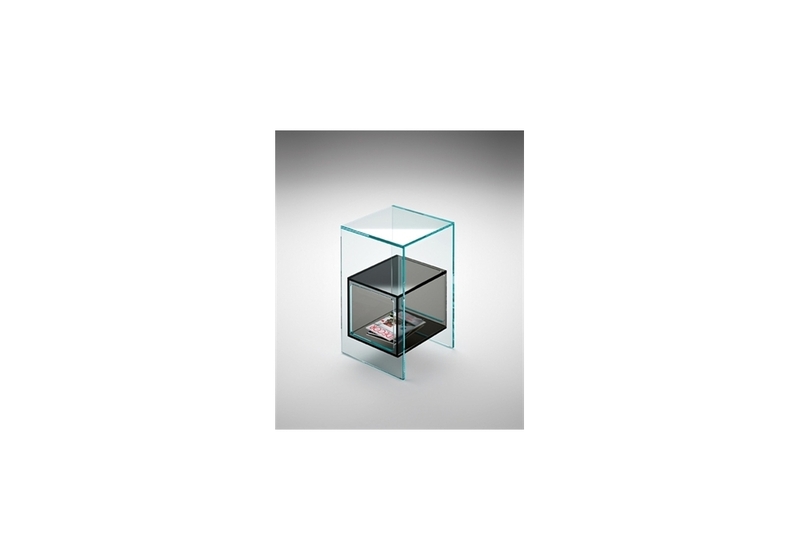 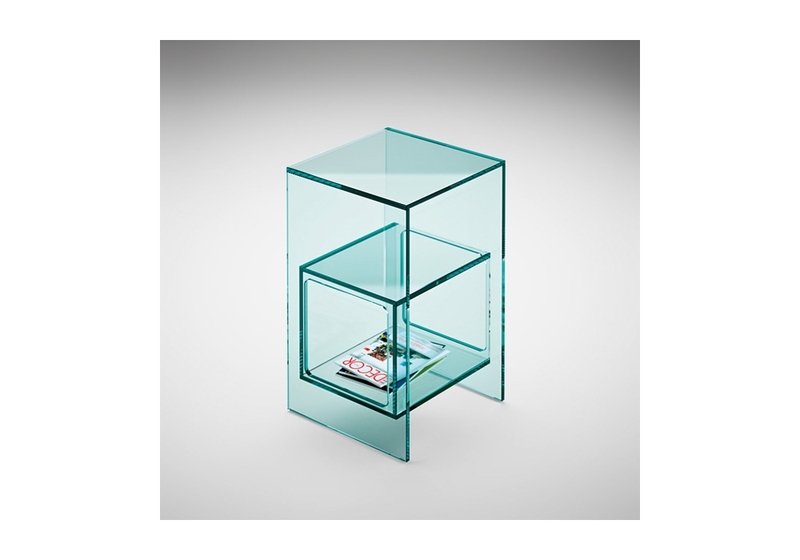 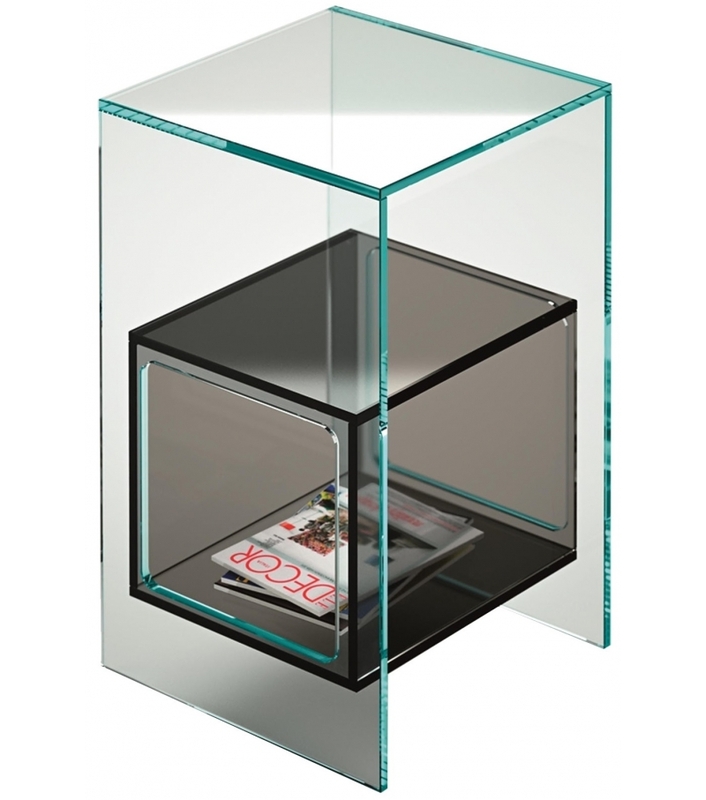 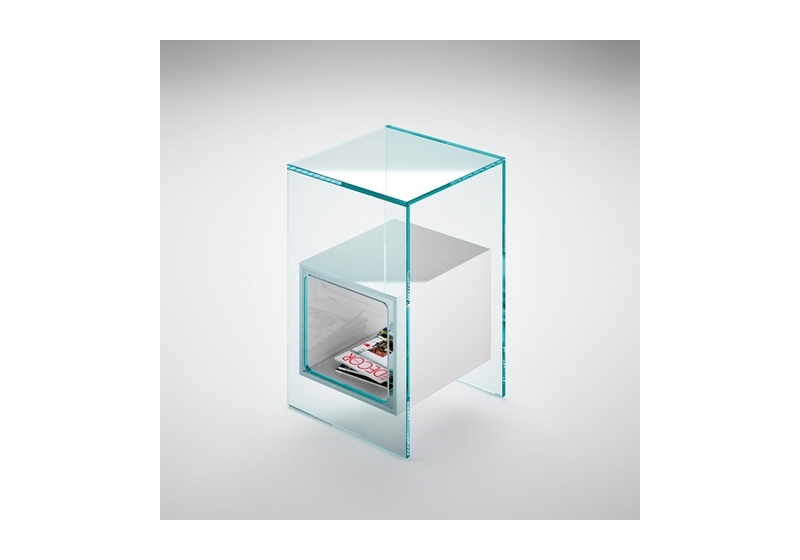 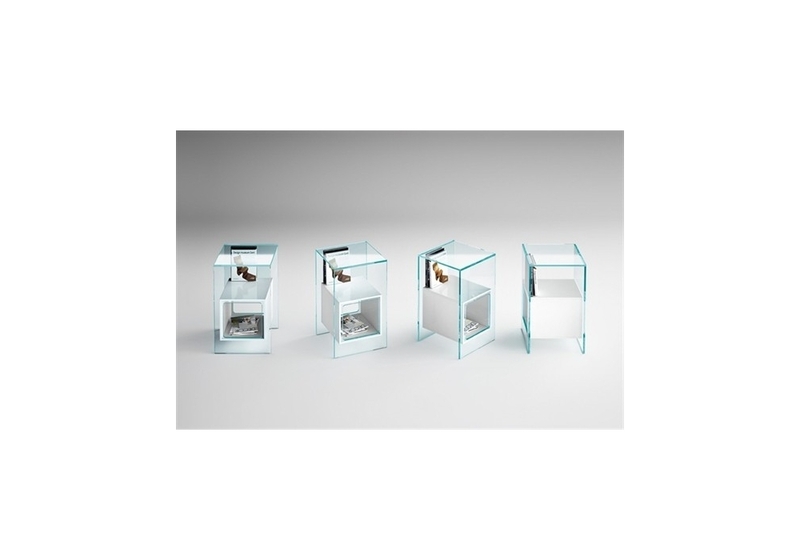 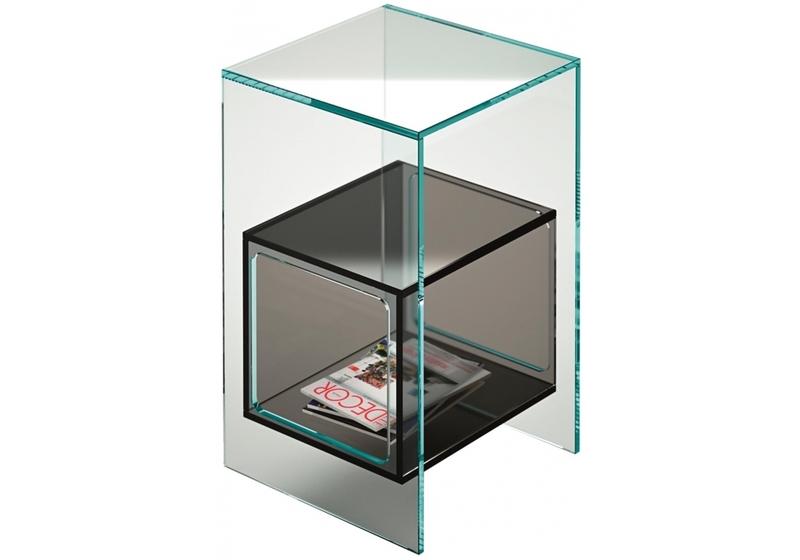 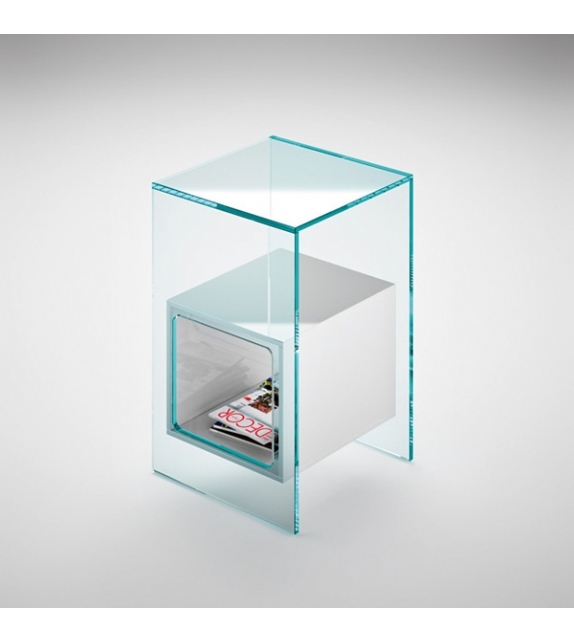 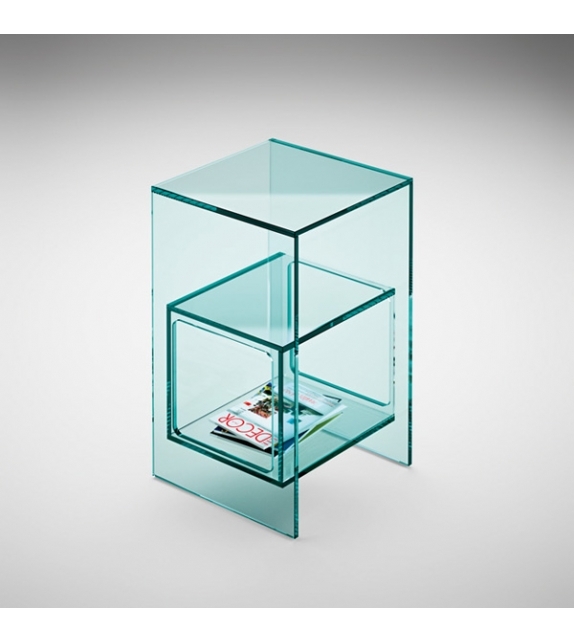 Fiam, Magique bedside table: Bedside table with cubic inner compartment in 10 mm welded glass. 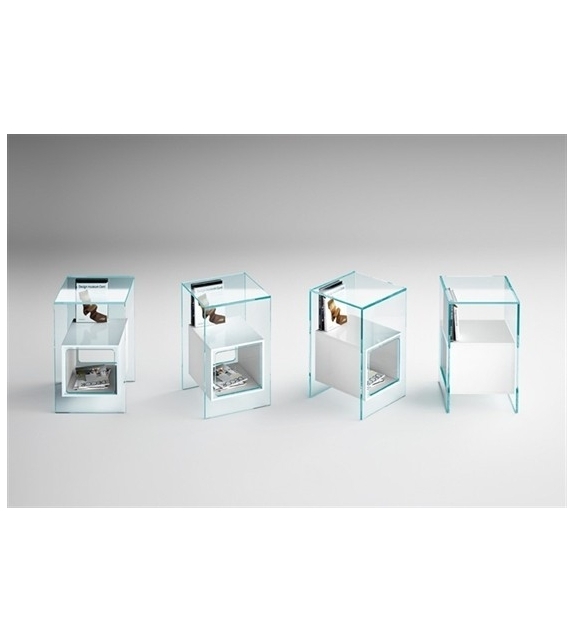 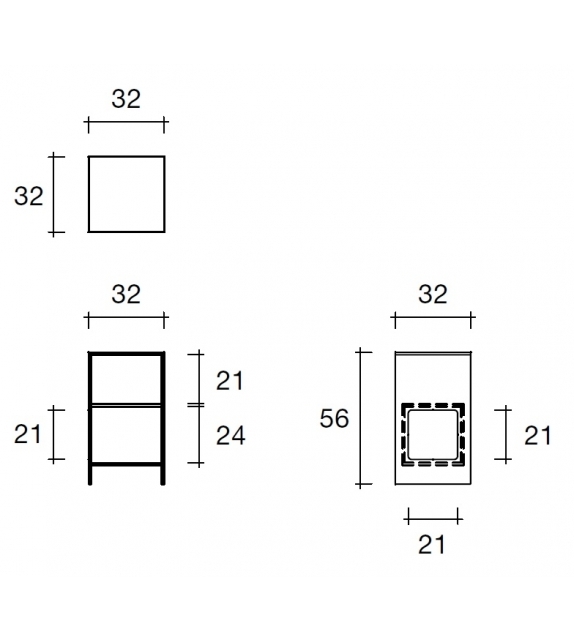 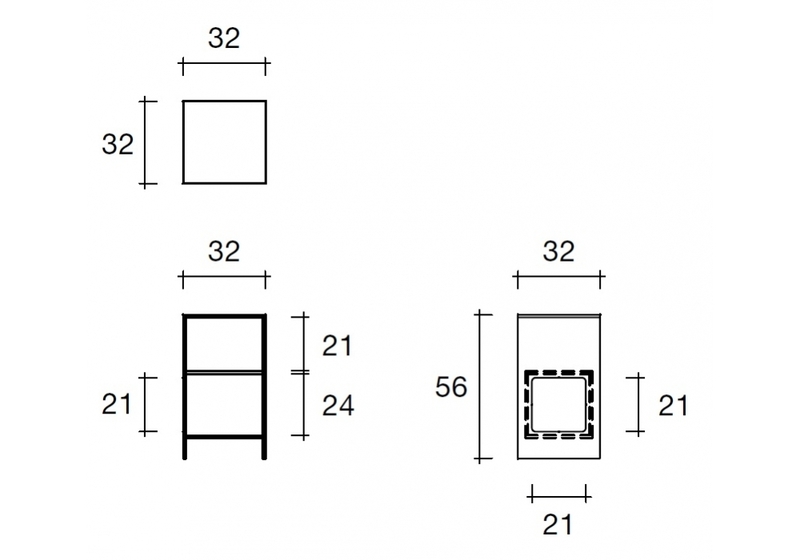 Available in various finishes. 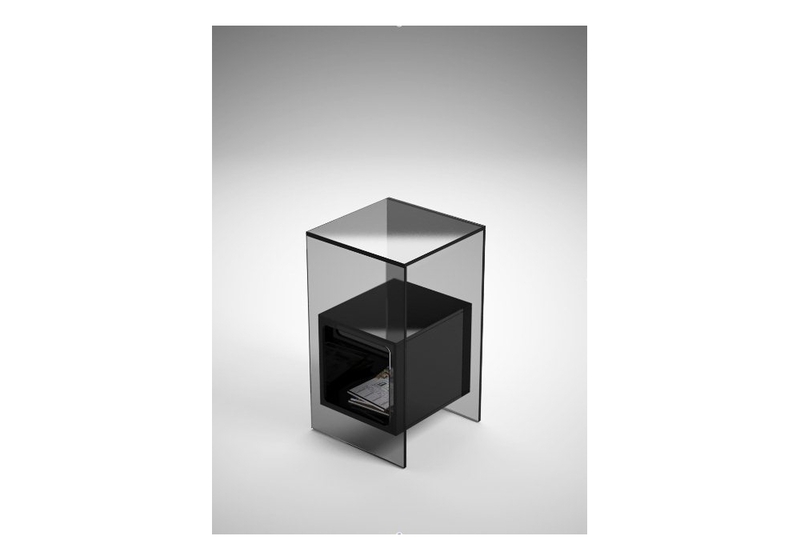 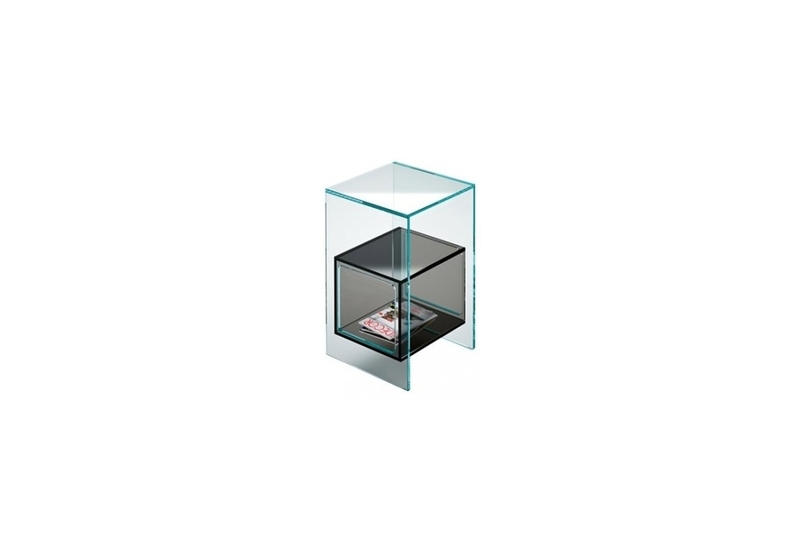 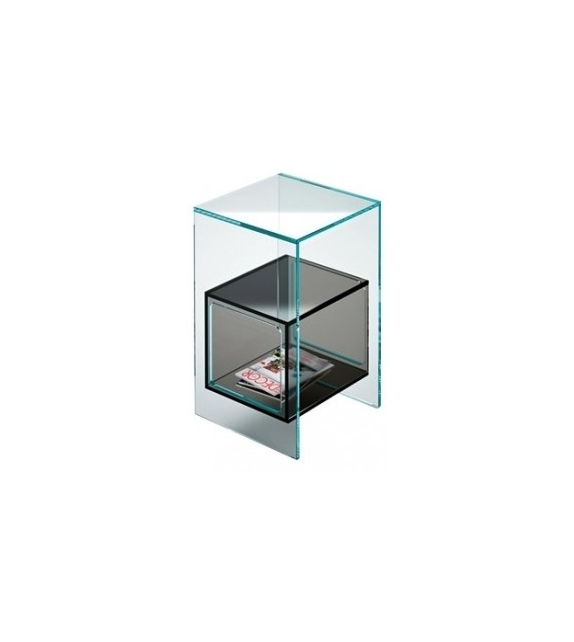 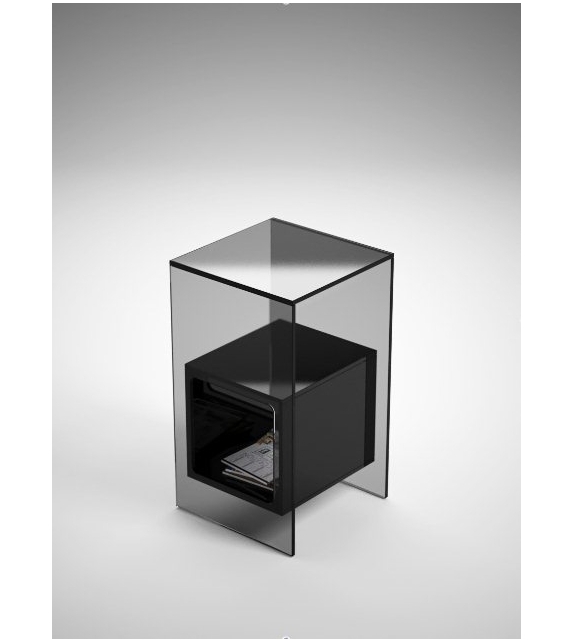 Ex Display • Nr.4 Bedside Cabinet in Extralight glass structure, opal white glass cube (14 mm thick) - • Nr.1 Bedside Cabinet in Smoked grey glass structure, Black95 glass cube.